History It was a beautiful day. 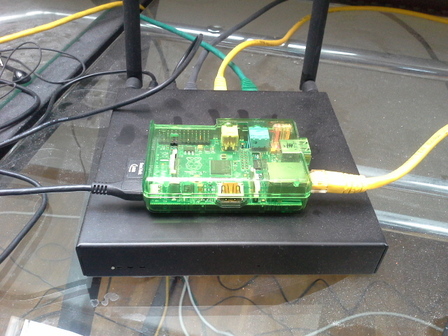 My mailserver on the Raspberry Pi B was running without any issues for some time now. In the evening of March 12th I got a nice email from my external DNS provider: The BuddyNS janitor writing. A safety notification on your BuddyNS account: Your zones reached 60% of your account's traffic quota. Details: * Total traffic produced this month: 181 Thousand queries. * Current traffic quota: 0. History Since some time our company Eurospider was using home-grown firewalls based on OpenBSD. Our administrator at this time (Mihai Barbos, https://github.com/mbarbos) decided to use Portwell NAR-2054 hardware with 3 up to 5 ethernet ports and run a customized OpenBSD on it. Now the company firewall is a Soekris net6501 as the Portwell firewalls started to become a little bit rusty. There is still one Portwell left in use for a control network serving access to remote management consoles of our servers.